Last Year, Vivo launched two NEX flagship smartphones. One smartphone came with pop selfie camera and another has a dual display feature. 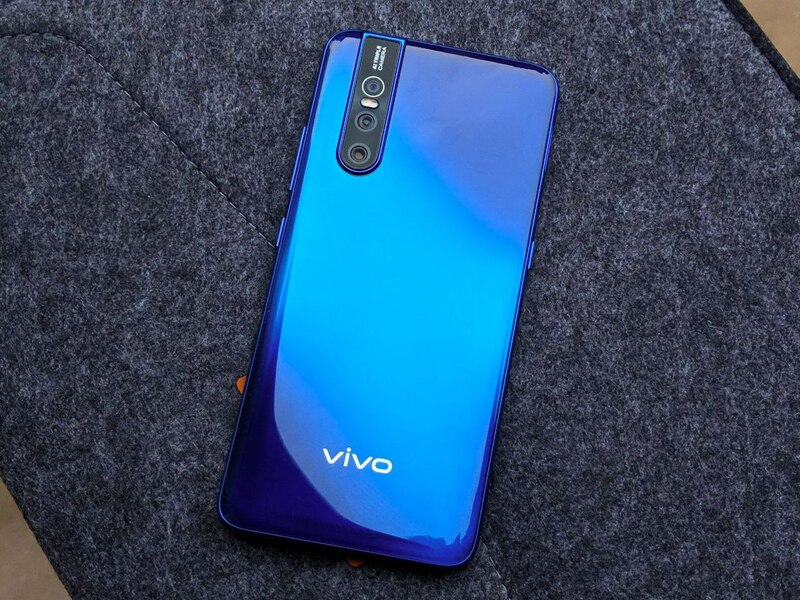 Now the company launched its mid-range smartphone in India with pretty amazing specs and features, called Vivo V15 Pro. The phone offers flagship features such as under-display fingerprint scanner, pop up selfie camera, Full screen, and triple rear camera setup. We have been using the Vivo V15 Pro from last one month, and here is our Vivo V15 Pro Review. There is no doubt that the Vivo V15 Pro is a nice-looking smartphone. 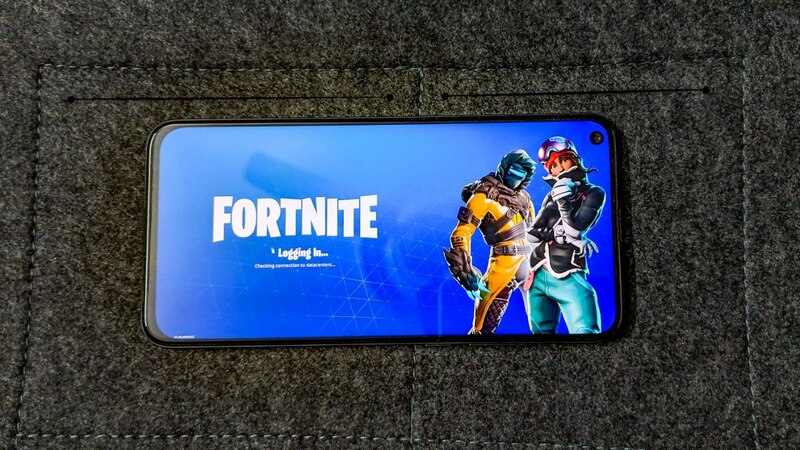 It comes with glass on the front and plastic body and full-screen design. At first glance, you may feel like there is a glass back panel, but it’s not. The body dimensions of the phone are 157.3 x 74.7 x 8.2 mm (6.19 x 2.94 x 0.32 in) and weighs 185 g (6.53 oz). The phone available in Topaz Blue, Coral Red and Ruby Red color options. The back panel of the phone comes with a gradient color. On the Top-left corner, there are triple rear camera sensors placed along with LED flash which is placed below the first camera sensors. On the left edge, there is a tray for the micro SD card dedicated voice assistant button. On the right edge, there is a power/unlock button and volume rocker keys. 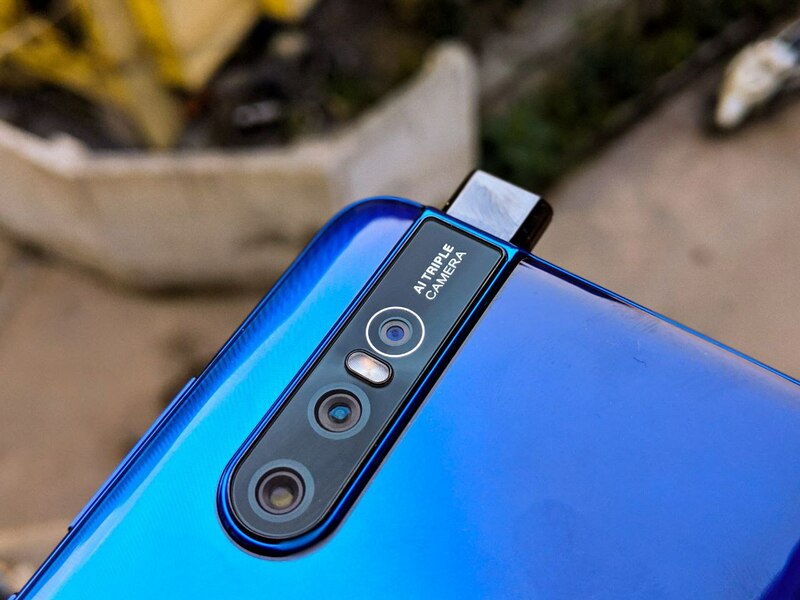 On the bottom edge, there is loudspeaker grille at the left corner and Dual SIM card tray at the right corner and there is also a micro USB port for charging and data transfer placed between speaker and SIM card tray. on the top edge, there is a 3.5mm audio jack port which is cool to have that nowadays. On the front side, there is no Corning Gorilla Glass panel on the display to protect it from accidental scratches. Vivo V15 Pro comes with very thin bezels, on the sides, there are 1.75 mm bezels while on the top side, there is 2.2 mm bezel. The Top bezel is just wide enough to place the earpiece in it while the other ambient and proximity sensors are placed under the screen panel at the upper left corner. At the bottom, there is a bit larger bezel present compared to other sides and top bezel. The V15 Pro comes with 6.39-inch Super AMOLED display panel that supports 1080 x 2316 pixels of resolutions and offers 19.5:9 aspect ratio. At the announcement event, the company calls the display Ultra FullView Display. The phone offers around 429 nits brightness which works fine outdoors in most scenarios. The phone offers around 84.2% screen to body ratio and around 404 PPI density. It also supports DCI-P3 100% coverage and multi-touch functionality. The day Vivo V15 Pro was announced we had some doubts regarding the Snapdragon 675 SoC powering the V15 Pro and also questioned why Vivo didn’t go for the more powerful Snapdragon 710, considering the price of this new device. Well, the octa-core Snapdragon 675 proved to be quite capable, and paired with 6GB of RAM, it easily breezed through day-to-day tasks. All-in-all, if you’re a power user, who while playing PUBG also tends to dip into Chrome browser, check Facebook, and then switch back to PUBG, it is possible that you will see some lag on V15 Pro. For everyone else, the V15 Pro should be fine. The phone packed with Non-removable Li-Po 3700 mAh battery inside the body. It also supports Fast battery charging 18W (24% in 15 min). The Vivo’s V15 Pro runs on Android 9.0 Pie operating system out of the box along with Funtouch 9 UI running on top. The V15 Pro featured with triple camera sensors on the back side along with LED flash. 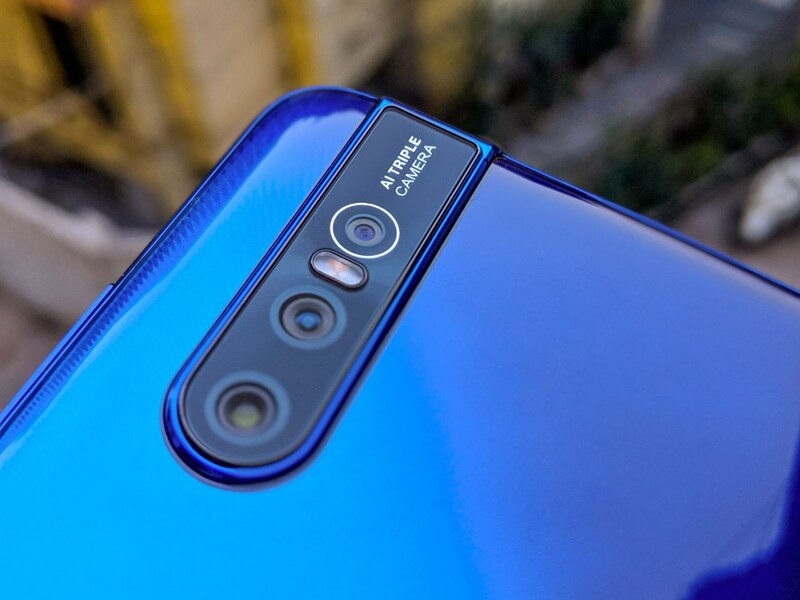 The rear camera configuration is a 48-megapixel main camera, 5-megapixel secondary camera and 8-megapixel ultrawide camera. The main 48-megapixel camera sensor comes with 1/2″ lens size, 0.8µm pixels and f/1.8 aperture. The secondary 5-megapixel camera comes with an f/2.4 aperture and used for depth information when taking portraits. The last ultrawide 8-megapixel camera sensor comes with f/2.2a aperture. For the V15 Pro’s main camera Vivo uses “four-in-one-pixel” technology or pixel binning technique to combine four adjacent pixels into a single 1.6um large pixel to deliver better quality 12-megapixel photos. 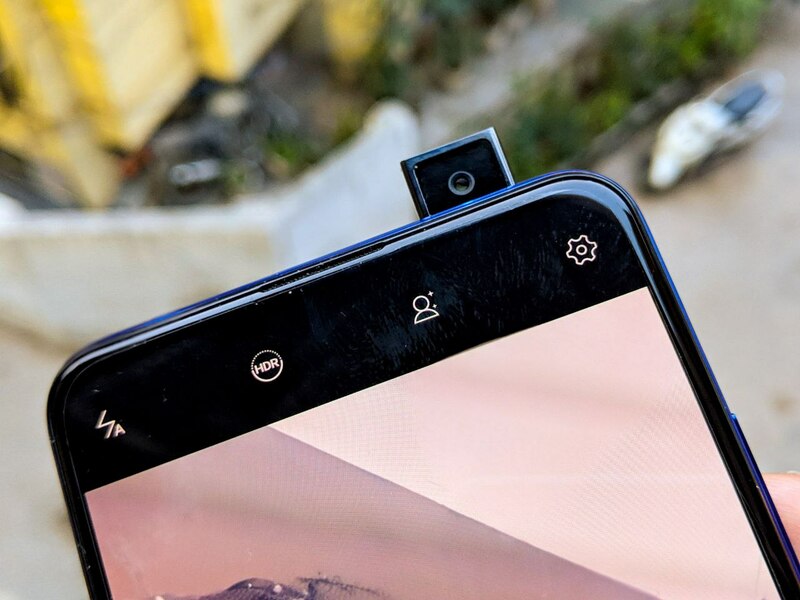 On the front side, there is a Motorized pop-up 32-megapixel camera for selfies and video calls. It supports the f/2.0 aperture. To test out the camera performance we tested out the camera of Vivo V15 Pro in different lighting conditions and here are a few camera samples for the same. Most of the pictures that we clicked were shot in bright daylight and the camera shows a good amount of detail, something that is the result of the pixel binning. Colors, though, in these photos end up oversaturated but that’s something that can be fixed/improved in future software updates. The portrait shots with the V15 Pro also come out to be good enough as far as the details are concerned but the edges don’t seem to be very sharp. The third camera clicks ultra-wide pictures, which is helpful when you are traveling and want wide landscape photos. 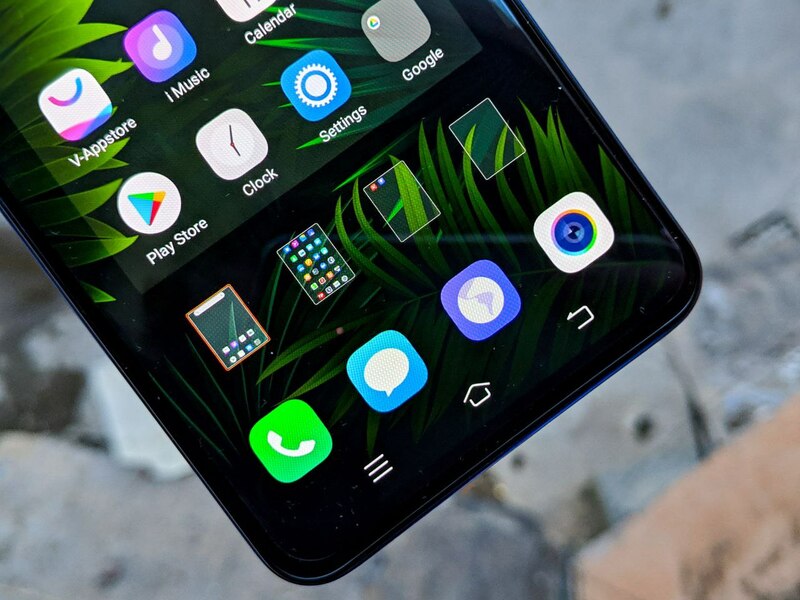 There is no doubt that the Vivo V15 Pro is one of the better devices Vivo has manufactured and the V15 Pro is a unique device that features a seamless design and that large-screen that is not tainted by any notch. The uniqueness is also the under-the-screen fingerprint sensor, and the pop-up selfie cam, and the gloriously vibrant display. For the price of INR 28,990 the Vivo V15 Pro is slightly on the highest higher mid-range budget segment and is hard to recommend this hardware at this price as there are a lot many better options that deliver similar performance at almost half the price. 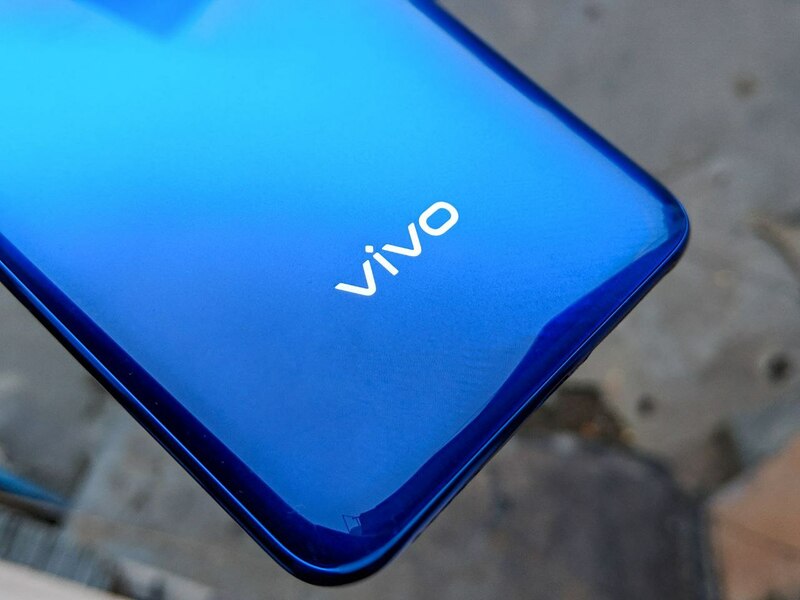 But if you are someone who likes to click some great pictures with a sense of style, then the Vivo’s triple rear camera setup with a 48MP primary camera and that flashy blue/red colored back gradient design can surely attract some attention and can be worth buying just for the camera and that beautiful design. Fairly sturdy build and gorgeous color options. Notch-less full-screen display with a nice Super AMOLED panel. Rare standout features like pop-up selfie cam and under-display fingerprint scanner. Good camera experience (for photos). Powerful and efficient Snapdragon 675. An outdated micro USB port. FunTouch OS is still bloated and follows unconventional UX designs.